SAN JOSE, Calif. — (BUSINESS WIRE) — April 3, 2019 — Velodyne Lidar, Inc. has been named as a finalist in the Vision/Camera Systems & Components category of the XCELLENCE Awards by the Association for Unmanned Vehicles Systems International (AUVSI). Velodyne was selected from a pool of accomplished applicants as one of several finalists. Winners will be announced during the awards ceremony at AUVSI XPONENTIAL on Tuesday, Apr. 30 from 11:30 a.m. to 12:15 p.m. CDT at McCormick Place in Chicago. XCELLENCE awards finalist Velodyne Alpha Puck™ delivers a high-resolution surround-view image to accurately measure and analyze any environment for mobile mapping, as well as real-time inspection, detection, and monitoring applications. 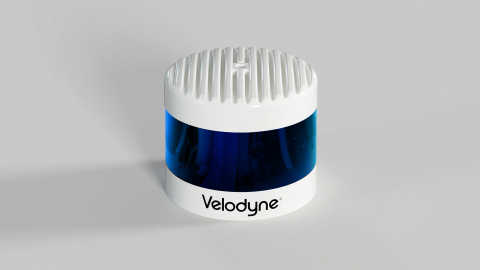 The performance, range, and compact form factor of Velodyne sensors enable developers to design versatile systems that can be configured to any mapping need. At AUVSI XPONENTIAL, Frank Bertini, UAV and Robotics Business Manager at Velodyne (booth #1420), will deliver a featured presentation on the business cases for 3D lidar technology in mobile mapping applications. Bertini will discuss revenue-generating strategies created by adding lidar to drones, backpacks, and all-terrain vehicles (ATV) to build autonomous solutions.